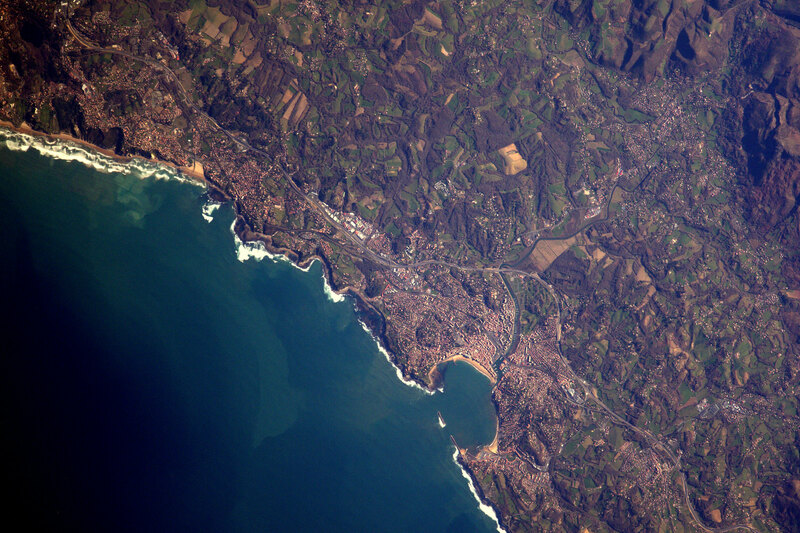 at Atlantic french resort St-Jean-de-Luz. The block, spotted on top of the centre Artha breakwater, was thrown up by waves earlier this week during the violent storms ('Ekaitz' in Bask language) that lashed the length of the Atlantic coast. Survey from 1876 by M. A. Bouquet De La Grye, hydrograph, assisted by M. Favé, student engineer. Note : the Artha dike was not completely built at that time. 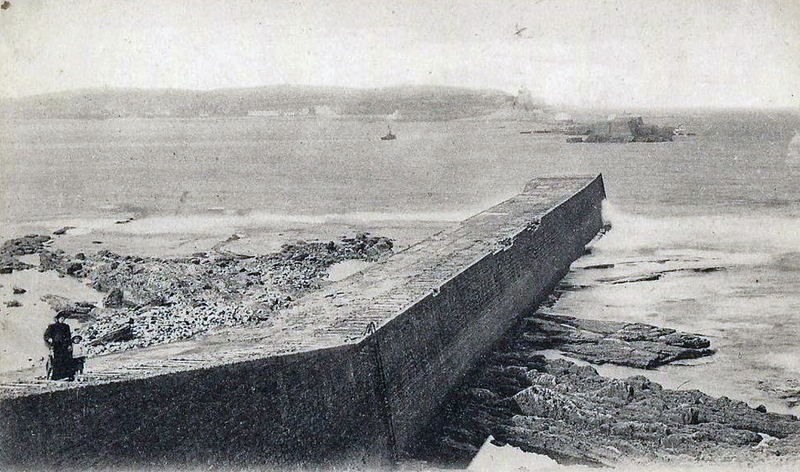 In 1857, Napoleon III approved the construction of three dikes (Sokoa, Artha and Sainte Barbe), which began in 1863. 15 years and 7,400 blocks of 50 tons were needed to raise up the Artha massif (see pictures above), located at depths varying from 6 to 14 m and then again 10 years to build a 250 m long masonry of 32,000 cubic meters. The final work was completed only in 1895, so more than 30 years after with the Sainte Barbe dike. 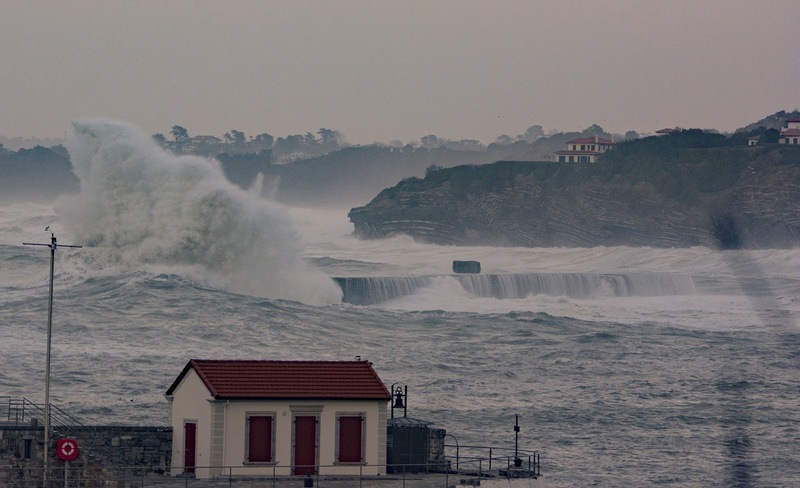 The storm waves plus a strong north-westerly current combined to lift the block. so a weight of 50 tons ! 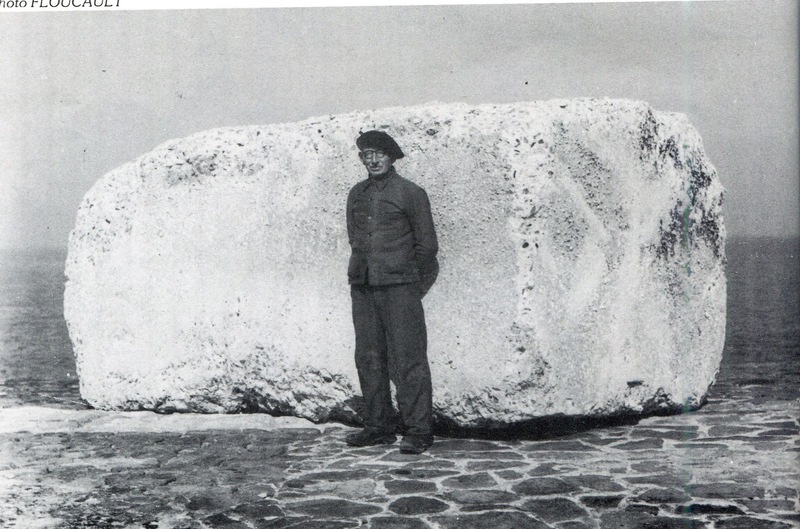 This phenomenon has already occurred during the storm of December 27/28/29th, 1951 and has not since been renewed : a concrete block was also thrown on to the breakwater – and then washed it off a few days later. The water on the Earth’s surface was once fresh. It is estimated there is enough salt in the world’s oceans to cover all the planet’s land surfaces with a layer about 40 stories thick. But seawater wasn’t always so salty; when the Earth’s oceans first formed about 3.8 billion years ago, as the surface of the planet cooled enough to allow water vapour to liquify, the oceans were mostly fresh water. So where did all the salt come from? 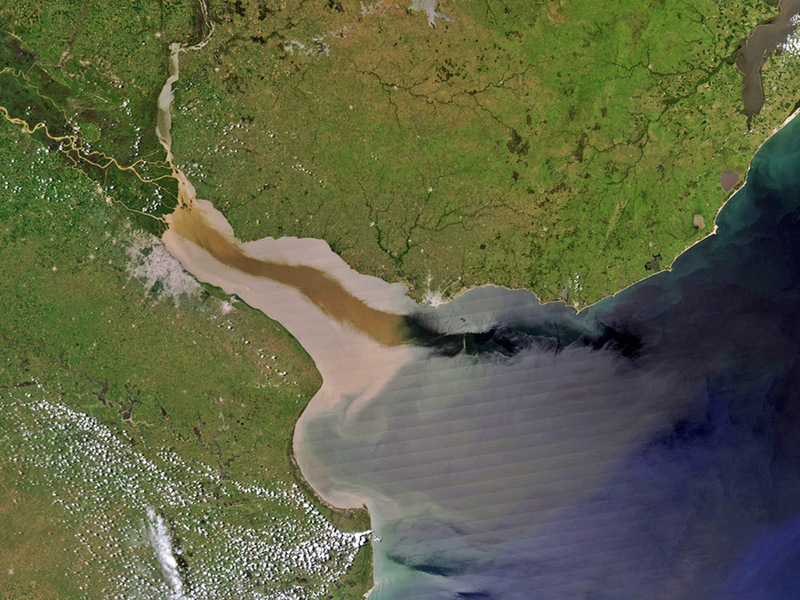 Satellite view of La Plata River discharge to the Atlantic Ocean. One way minerals and salts are deposited into the oceans is from outflow from rivers, which drain the landscape, thus causing the oceans to be salty. It came from rock, laden with elemental salts including sodium, chlorine and potassium, that was spewed forth as magmatic material by massive volcanos from the depths of the planet. Enter erosion, the process liberating these salts from their rocky prison, thanks to an atmosphere dominated by gases including nitrogen and, importantly, carbon dioxide. When mixed with water (H2O), carbon dioxide (CO2) can form carbonic acid (H2CO3), a weak but corrosive acid. This carbonic acid rained down on salt-rich rock, slowly breaking through and releasing the trapped salt into rainwater. The runoff slowly carried the salt to nearby lakes and rivers, which in turn carried it to the seas. Although the amount deposited by any one outlet was small, the contribution of millions of outlets over millions of years gradually raised the salinity of the oceans. The process continues. Along the way from rock to sea, a fair proportion of the salt released from rock is used by living things. Salt is crucial to both plant and animal life, regulating the amount of fluid in cells and neuron function. When an organism dies and decomposes, the salt is freed to continue its seaward journey. The Mariana Arc is part of the Ring of Fire that lies to the north of Guam in the western Pacific. In 2004, scientists exploring the NW Eifuku volcano near the Mariana Islands reported seeing small white chimneys emitting a cloudy white fluid near the volcano's summit, as well as masses of bubbles rising from the sediment around the chimneys. In this picture you can see masses of minerals and carbon dioxide escaping from the earth's crust into the ocean. These vents contribute dissolved minerals to the oceans, which is one reason the oceans are salty. Acid rain isn’t the only way the seas are fed with salt. Ongoing volcanism still has an important role to play. Hydrothermal vents allow seawater that has seeped though the rock of the oceanic crust to return to the surface. The water is superheated from magma below, and as it travels up it dissolves minerals locked in the crust, erupting as mineral-rich steam. A similar process involves the interaction of submarine volcanoes with surrounding seawater. Submarine volcanoes are comparable to their above-ground relatives except that their lava cools much more rapidly, allowing for speedy growth. 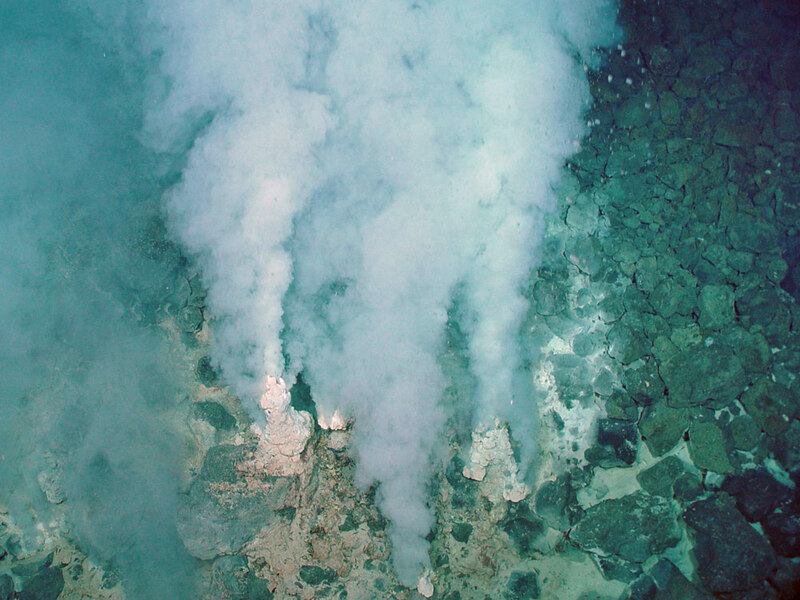 Magma erupting through submarine fissures boils the surrounding water, which then dissolves salts in the cooling rock to escape in a manner similar to hydrothermal vents. Many of the worlds islands were formed by this process, releasing thousands of tons of salt in the process. While seawater contains, on average, about 35 grams of salt per litre, the oceans and seas are not uniformly salty; generally the closer you get to the poles the less saline the water becomes, as fresh water released from the ice of the frozen poles dilutes the concentration of the salt. When you are swimming in the ocean or sea, the last thing you want is a big mouth full of water. Its horrible because it is really salty. But why is it salty? There is still one question left: if most of the salt in the sea comes via rivers and streams, why are they not also salty? The simple explanation is that they do contain salt, but the concentration is much lower, and the salt flows rather than accumulates. It is estimated that each year four billion tons of dissolved salts are carried to the sea by rivers. So is the ocean getting saltier? The answer right now is probably not. The input of salts is balanced by salts being buried underground by the movement of tectonic plates, the flow of freshwater and a host of other processes. 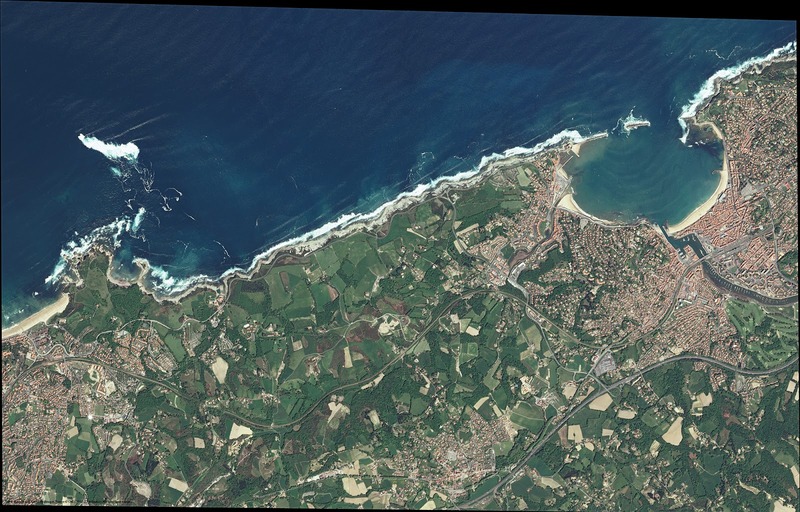 USGS : Why is the Ocean salty ? NOAA : Why is the ocean salty? 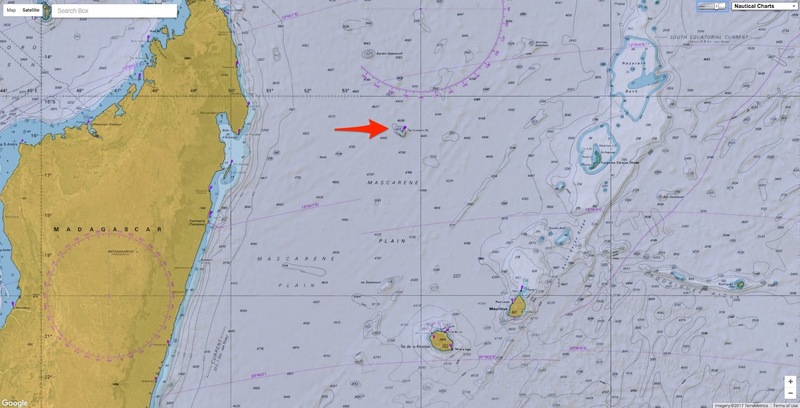 Two vessels rendezvous off the coast of Argentina in a likely transshipment. In many ways, the ocean is the Wild West. The distances are vast, the law enforcement agents few and far between, and the legal jurisdiction often unclear. In this environment, illegal activity flourishes. Illegal fishing is so common that experts estimate as much as a third of fish sold in the U.S. was fished illegally. This illegal fishing decimates the ocean’s already dwindling fish populations and gives rise to modern slavery, where fishermen are tricked onto vessels and forced to work, sometimes for years. A new use of data technology aims to help curb these abuses by shining a light on the high seas. The technology uses ships’ satellite signals to detect instances of transshipment, when two vessels meet at sea to exchange cargo. As transshipment is a major way illegally caught fish makes it into the legal supply chain, tracking it could potentially help stop the practice. “[Transshipment] really allows people to do something out of sight,” says David Kroodsma, the research program director at Global Fishing Watch, an online data platform launched by Google in partnership with the nonprofits Oceana and SkyTruth. Global Fishing Watch analyzed some 21 billion satellite signals broadcast by ships, which are required to carry transceivers for collision avoidance, from between 2012 and 2016. It then used an artificial intelligence system it created to identify which ships were refrigerated cargo vessels (known in the industry as “reefers”). 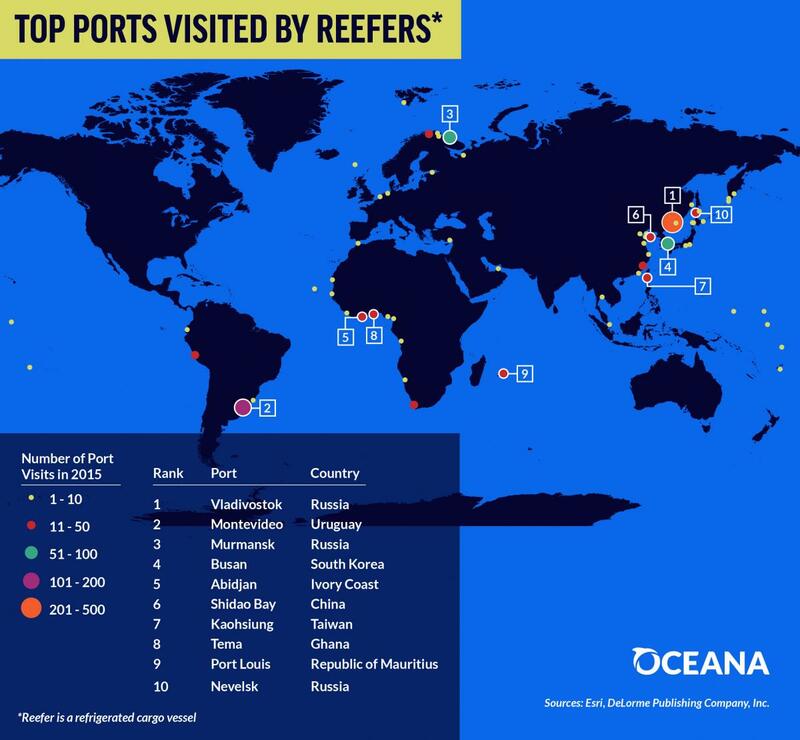 They then verified this information with fishery registries and other sources, eventually identifying 794 reefers—90 percent of the world’s total number of such vessels. 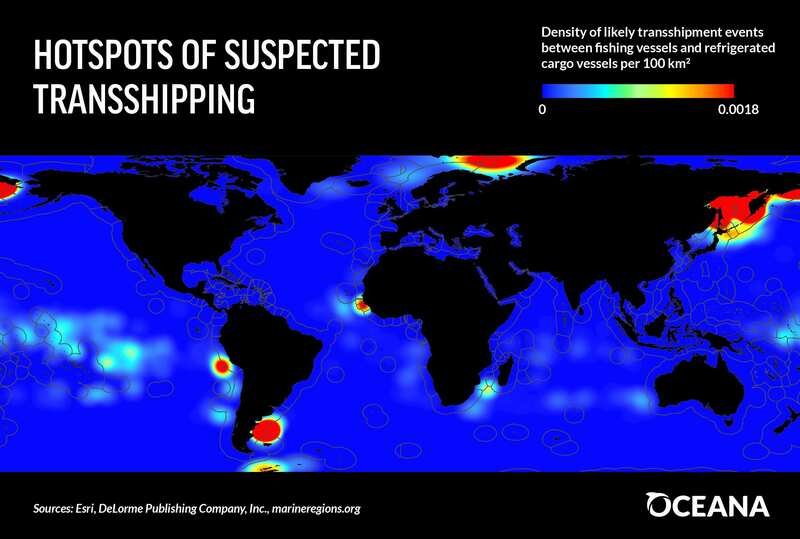 They tracked instances where a reefer and a fishing vessel were moving at similar speeds in close proximity, labeling these instances as “likely transshipments,” and also traced instances where reefers were traveling in a way that indicated a rendezvous with a fishing vessel, even if no fishing vessel was present—fishing vessels often turn off their satellite systems when they don’t want to be seen. All in all there were more than 90,000 likely or potential transshipments recorded. Top 10 ports visited by refrigerated cargo vessels likely involved in transshipping. Even if these encounters were in fact transshipments, they would not all have been for nefarious purposes. They may have taken place to refuel or load up on supplies. 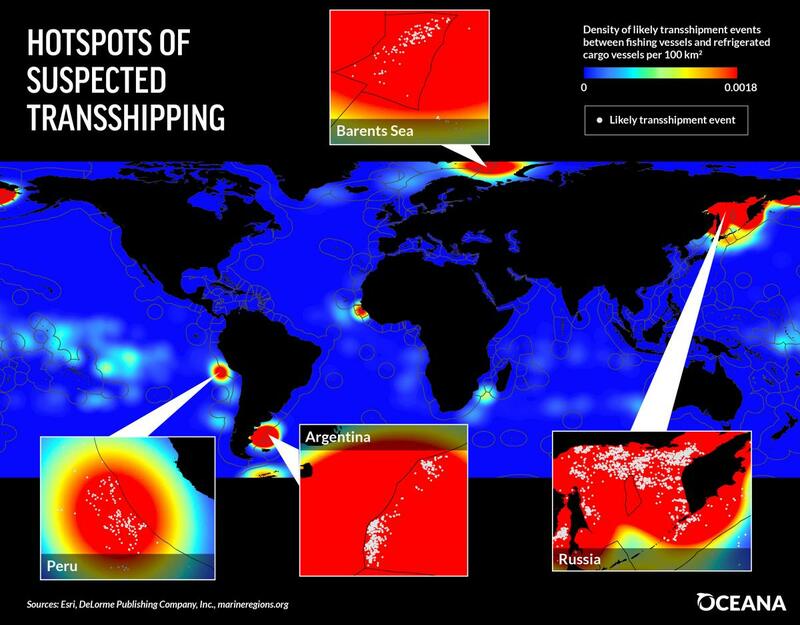 But looking at the patterns of where the potential transshipments happen is revealing. Very few are seen close to the coasts of the U.S., Canada and much of Europe, all places with tight fishery regulations. There are hotspots off the coast of Peru and Argentina, all over Africa, and off the coast of Russia. Some 40 percent of encounters happen in international waters, far enough off the coast that no country has jurisdiction. 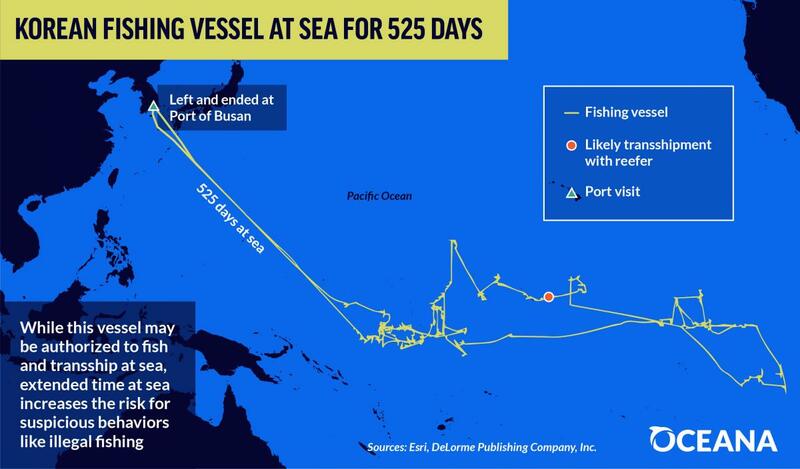 Korean fishing vessel at sea for more than 500 days. 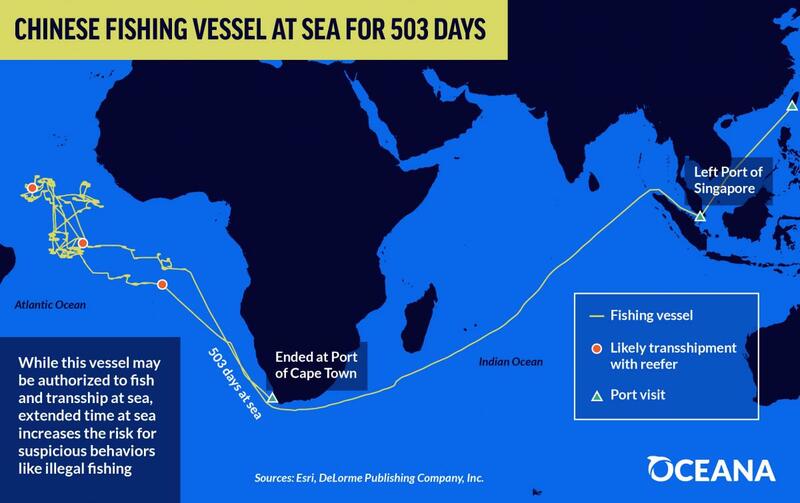 Chinese fishing vessel at sea for more than 500 days. The tracked reefers were flying flags from some 40 different countries. But that doesn’t necessarily tell us much about where they really come from. Nearly half of the reefers tracked were flying “flags of convenience,” meaning they’re registered in countries other than where the ship’s owners are from to take advantage of those countries’ lax regulations. This project wouldn’t have been possible until quite recently, Kroodsma says. “Five years ago, there weren’t enough satellites, and now they’re launching more and more. Machine learning is becoming a powerful and important aspect of analytics workloads. Amy Unruh and David Kroodsma look at how the Global Fishing Watch project has used Google Cloud Dataflow analytics, Google Cloud Machine Learning, and BigQuery to help monitor and reduce overfishing across the world. In the process, they show you how you can use Dataflow to transform a data stream for distributed training of a deep neural net on the Cloud Machine Learning platform, and use Cloud Machine Learning's support for hyperparameter tuning to optimize performance of the model. You'll also learn how you can access trained models for prediction from Cloud Dataflow pipelines, using Cloud Machine Learning's scalable serving, to augment your pipeline's analytical capabilities. Kroodsma hopes Global Fishing Watch’s data, all of which is freely available, will be useful to third parties interested in regulating illegal fishing. That might include regional fishery management organizations, researchers and ordinary citizens. “We’re really empowering others who know more than we do,” he says. Hopefully, Kroodsma says, this will translate into fewer illegally caught fish on our plates. “It’s something that’s no longer out of sight,” he says. 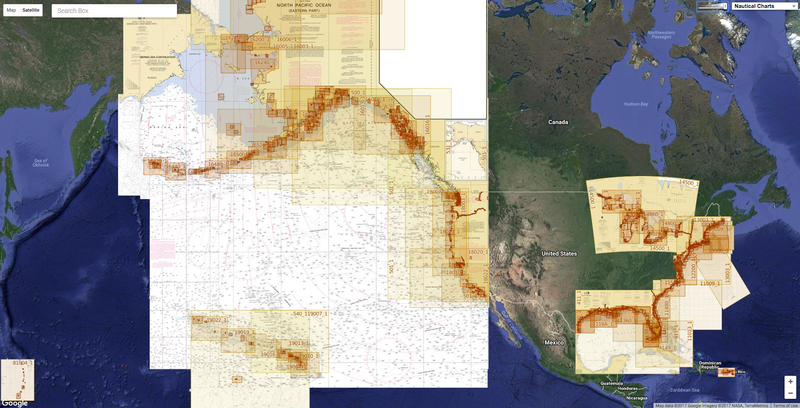 NOAA invites public comment on the recently released National Charting Plan. Comments are due by midnight, June 1, 2017. Since the introduction of electronic navigational charts (ENCs) thirty years ago, the size of commercial vessels has increased four-fold and navigation systems have become more sophisticated. Additionally, there are now over 15 million recreational boat users in the U.S. and many have joined professional mariners in using electronic chart displays and NOAA digital chart products when navigating. User groups of all types are increasingly expecting more precise, higher resolution charts, and greater timeliness and ease-of-access to chart updates. This plan presents strategies to meet the growing demand. Resolving uncertainties about ‘reported,’ ‘existence doubtful,’ and ‘position approximate’ dangers. Strengthening partnerships with the U.S. Coast Guard by developing methods to ingest changes to the database of USCG maintained aids to navigation directly into Coast Survey’s chart production system. This will save time and avoid any chance of data being entered incorrectly by hand. For information on how to provide written comments about this plan, see the Federal Register Notice. 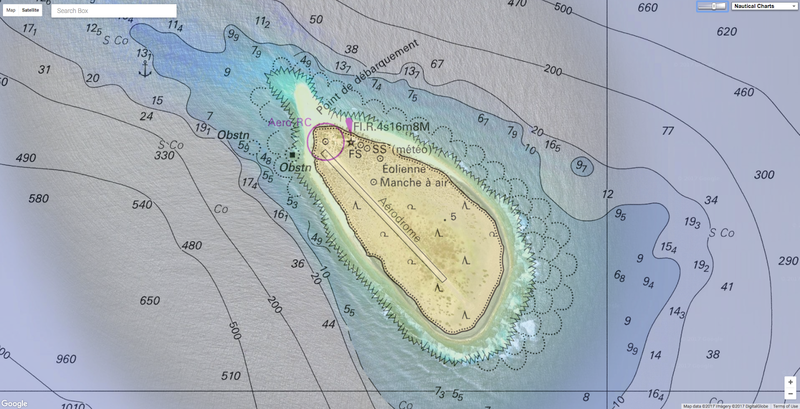 Tromelin is a flat and small feature, about 1,700 metres long and 700 metres wide, with an area of about 80 hectares (200 acres). Its flora is limited, while the site is known to host significant numbers of seabirds. 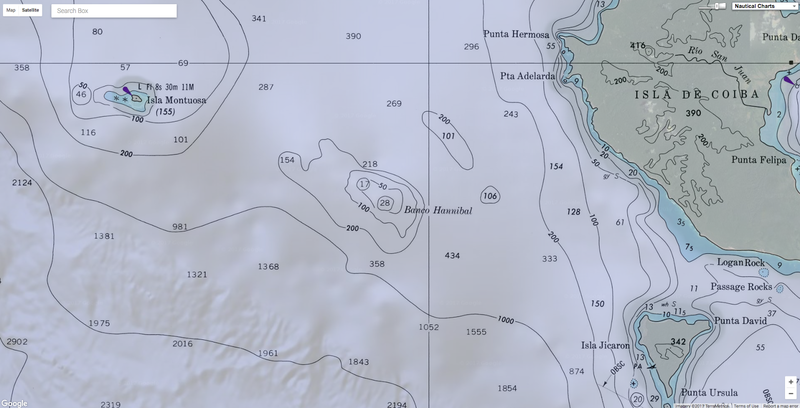 There is no harbour nor anchorages on the island, but a 1,200-metre airstrip, and there appears to be no continuous human presence. 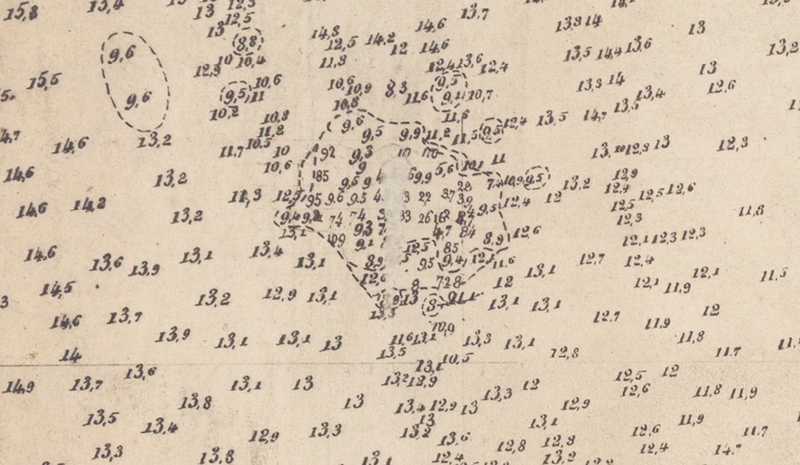 data and drawn by Mr Daussy hydrographer. 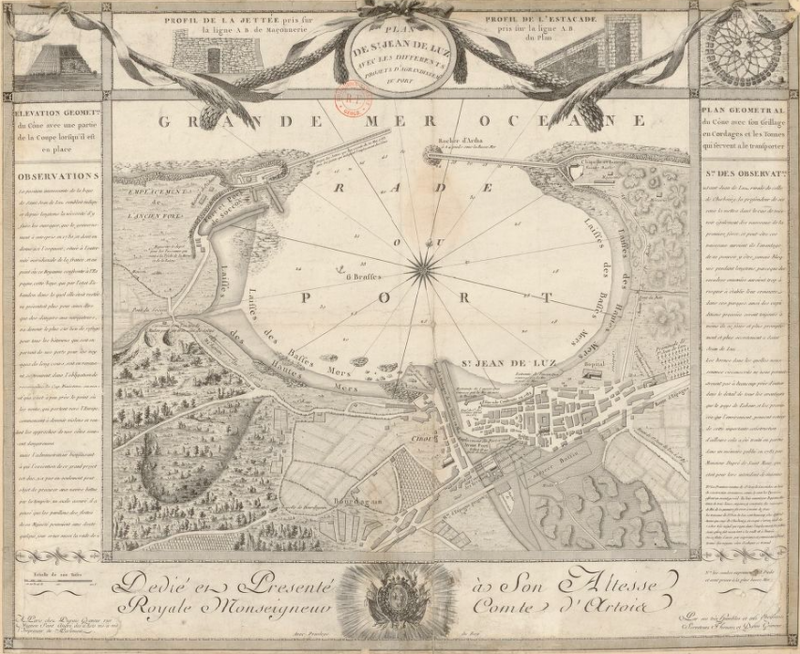 Tromelin was discovered by a French navigator in 1722, and France today claims sovereignty over it by virtue of historical title (discovery of terra nullius) dating back to that date. 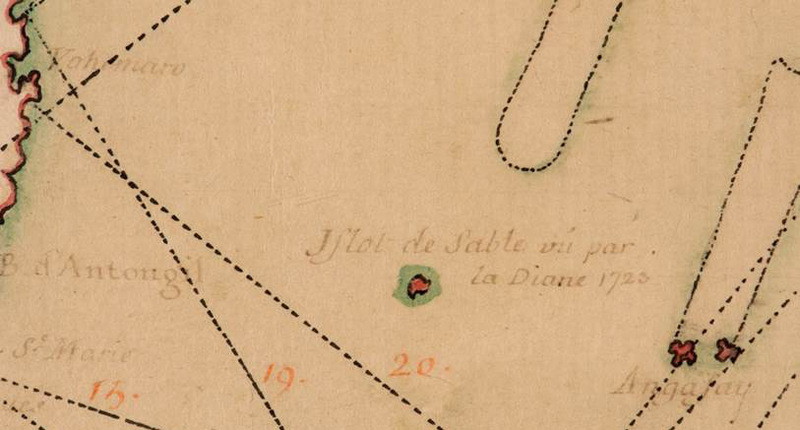 The islet was the scene of a sad – and little known – episode of history as the place where approximately 60 Malagasy men and women were abandoned for 15 years in the 18th century after a French ship transporting slaves eschewed on the island. Most of the slaves died within a few months. The survivors were finally rescued in 1776, when Bernard Boudin de Tromelin, captain of the French warship La Dauphine, visited the island and discovered seven women and an eight-month-old child. Captain Tromelin also raised a French flag on the island – and his name was given to it. French possession of Tromelin was interrupted by Britain which took control of the island in 1810. Then in 1954, the British gave their consent to France’s effective control over Tromelin. 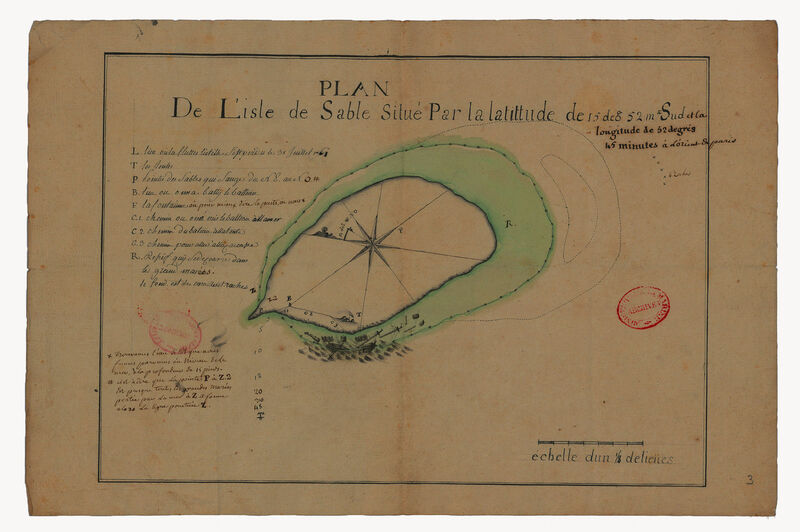 But sovereignty over Tromelin is still disputed, and the island has been claimed by the newly independent Mauritius since 1976, and reportedly also by Madagascar and the Seychelles (see V.
Prescott, ‘Indian Ocean Boundaries’ at 3462-63). The controversy in France over Tromelin has led to the postponing of the ratification by the Parliament of a framework agreement entered into by France and Mauritius in June 2010, providing for joint economic, scientific and environmental management (cogestion) of the island and of surrounding maritime areas. 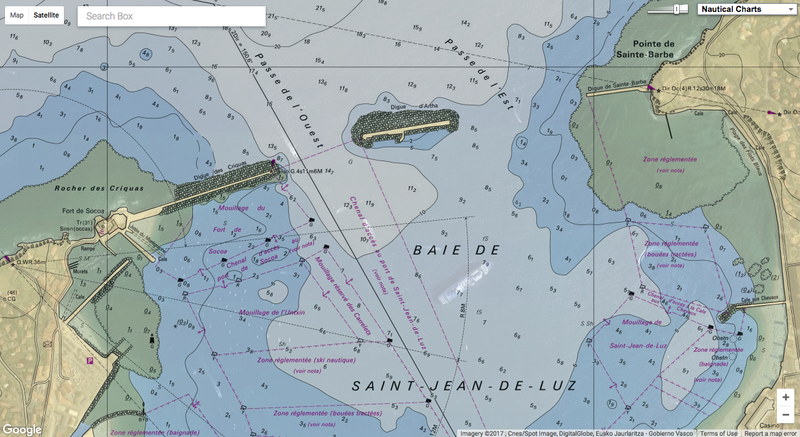 Concerns expressed in France revolve around the issue of a possible loss or abandonment by France of its sovereignty over the feature, and most of all of its rights over the exclusive economic zone (EEZ) of Tromelin, that France established in 1976 (see Decree no. 78-146 of 3 February 1978, establishing, pursuant to the Act of 16 July 1976, an economic zone off the coasts of the islands of Tromelin, Glorieuses, Juan de Nova, Europa and Bassas da India, Law of the Sea Bulletin, No. 71  at 16). 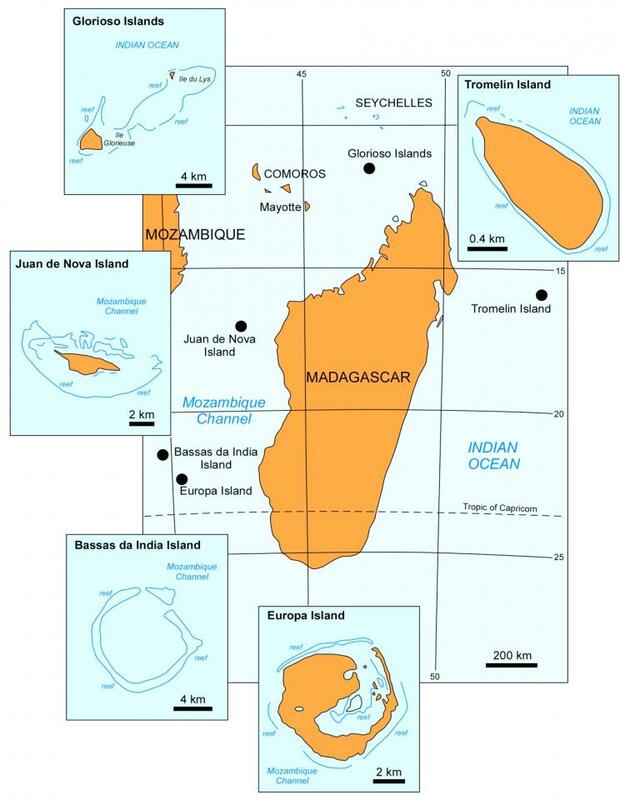 Critics also point to the risk of creating a precedent that could be used to fuel arguments of those countries (Mauritius, the Comoros and Madagascar) which repeatedly dispute French claims of sovereignty over the other French-occupied Scattered Islands (Îles Éparses) of the Indian Ocean (Juan de Nova, Glorioso and Europa islands, the Bassas da India atoll, and the feature known as Banc du Geyser), and related maritime zones. For example, Section 111 of the Constitution of Mauritius provides that Tromelin is part of Mauritian territory. 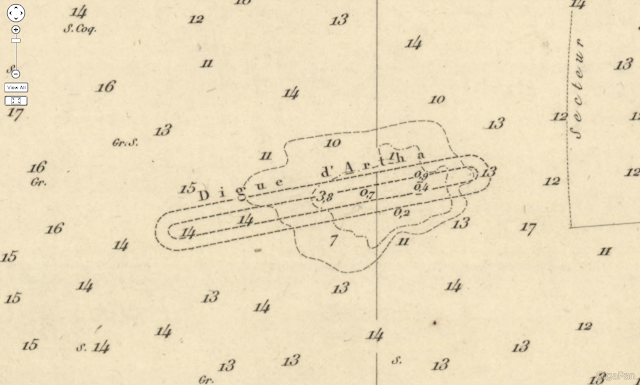 situé par la latitude de 15 deg 52m Sud et la longitude de 52 degrés 45 minutes à l'Orient de Paris"
including details of the shipwreck "l'Utile"
A cover from Tromelin Island. Mauritius also deposited with the UN Department for Ocean Affairs and the Law of the Sea, pursuant to Articles 16 and 47 of UNCLOS, charts and lists of geographical coordinates of basepoints and baselines for the maritime zones of Mauritius, which include basepoints around Tromelin (see Maritime Zone Notification M.Z.N.63.2008.LOS of 27 June 2008). The issue of sovereignty over Tromelin is a very complex one, that should be further examined through interpretation of relevant international agreements, including the Treaty of Paris of 30 May 1814 between France and the United Kingdom – which transferred sovereignty over the French colony of Mauritius (then known as Isle of France) and its dependencies to the British –, and assessment of the subsequent practice of the States concerned. His Britannic majesty stipulating for himself and his allies, engages to restore to his most Christian majesty [French King Louis XVIII], within the term which shall be hereafter fixed, the colonies, fisheries, factories, and establishments of every kind, which were possessed by France on the 1st of January 1792, in the seas and on the continents of America, Africa, and Asia, with the exception however of the islands of Tobago and St.
Lucie, and of the Isle of France and its dependencies, especially Rodrigues and Les Sechelles, which several colonies and possessions his most Christian majesty cedes in full right and sovereignty to his Britannic majesty, and also the portion of St.
Domingo ceded to France by the treaty of Basle, and which his most Christian majesty restores in full right and sovereignty to his Catholic majesty » (full text of the Treaty in E.
Hertslet, The Map of Europe by Treaty, at 1 – emphasis added). 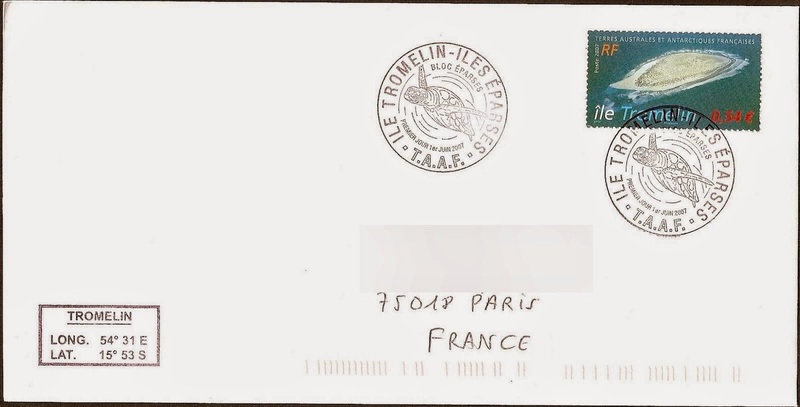 Assessing the merits of claims regarding Tromelin would by far exceed the limits of this note. 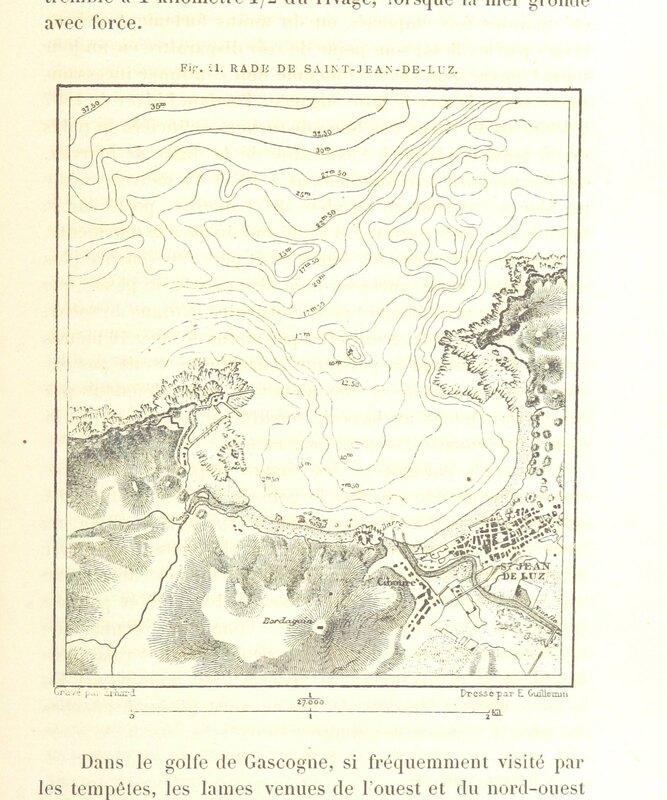 The exercise will likely include an in-depth examination of relevant archival materials, namely those found in the Bibliothèque Nationale de France (the National Library of France) and the Archives Nationales d’Outre-Mer (the National Overseas Archives), as well as in the British archives including those of the United Kingdom Hydrographic Office. 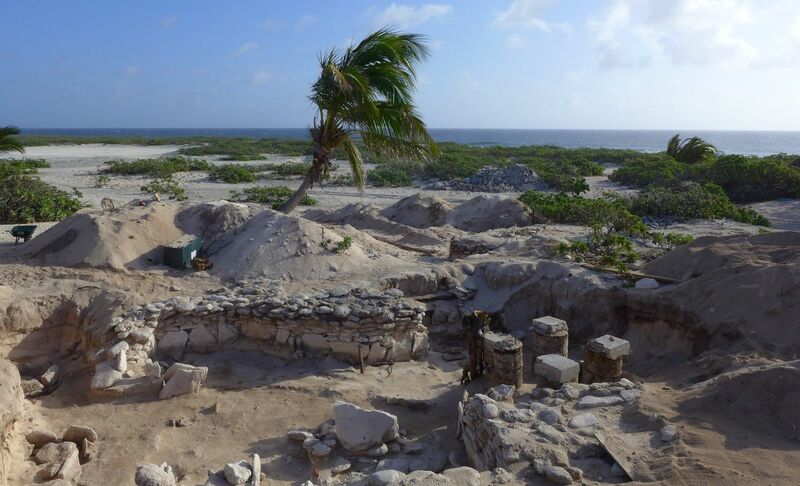 At first sight, the validity of the claims of France regarding Tromelin is not obvious and needs to be critically assessed under the international law relating to the acquisition of territory. Mauritius is of the view that the assignment by the Treaty of Paris of the Isle of France (Mauritius) to the British Crown included Tromelin, so that upon reaching independence in 1968, Mauritius should have entered into possession of Tromelin. France of course holds a contrary view. 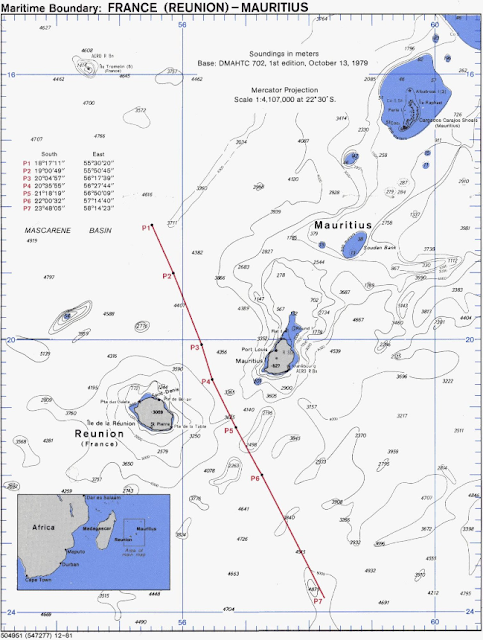 A French Parliament report advocating the ratification of the 2010 framework agreement between France and Mauritius referred to the multiplicity of France’s “acts of sovereignty and administration over this islet (îlot) even before the independence of Mauritius [in 1968] […] without UK protest”. Basically, France’s historical title to the island is to be assessed against other claims formulated by Mauritius, and reportedly also by Madagascar and the Seychelles. Irrespective of the sovereignty over Tromelin, it is far from certain, at first sight, that this island (or islet) of Tromelin be entitled to full maritime zones and in particular an exclusive economic zone (EEZ). This is dependent in particular on interpretation of the terms of Article 121 para.3 of UNCLOS, according to which “[r]ocks which cannot sustain human habitation or economic life of their own shall have no exclusive economic zone or continental shelf”. The precise meaning of Article 121 para.3 has long proven controversial (see e.g. Erik Franckx, ‘The Regime of Islands and Rocks’, in D.J. Attard, M. Fitzmaurice, N.A. Martínez Gutiérrez (eds. ), The IMLI Manual on International Maritime Law, Vol.I, Law of the Sea, at 99-124.). Interpretation of this article has been one of the main points addressed by the Arbitral tribunal in its Award of 12 July 2016 in the South China Sea Arbitration (Republic of the Philippines v. People’s Republic of China) case before the PCA. The tribunal in that case engaged in a thorough interpretation exercise and made a number of findings as to the accurate meaning of all components of paragraph 3 (« rocks », « cannot » « sustain », « human habitation », « or », and « economic life of their own »), which will probably offer some valuable guidance regarding future similar cases. What should be assessed properly is whether Tromelin, due to its physical and geographical characteristics (as evidenced by precise and recent scientific works and reports), is entitled – as any island – to full maritime zones under Article 121 para. 2 of UNCLOS, or if it meets the definition of a rock within the meaning of Article 121 para. 3, in which case it would not generate an exclusive economic zone or a continental shelf. As regards prospects for a settlement of the issue of Tromelin (and possibly other Îles Éparses), several observations may be made. First, while it has been reported that Mauritius would be prepared to submit the dispute to the ICJ, the jurisdictional basis for such referral remains unclear. One has to bear in mind that France, upon ratifying UNCLOS in 1996, has declared that it does not accept any of the dispute settlement procedures provided for in Part XV, section 2, of UNCLOS with respect inter alia to “[d]isputes concerning the interpretation or application of articles 15, 74 and 83 relating to sea boundary delimitations, or those involving historic bays or titles”. Second, the settlement of the sovereignty issue may possibly be disjoined from the issue of maritime entitlements, as the Arbitral tribunal did in the South China Sea Arbitration case when it pronounced on maritime entitlements of various features of the South China sea without addressing the sovereignty issue over those features. As various commentators have stressed, the tribunal could hardly have done otherwise, since UNCLOS is not concerned with sovereignty over land territory and islands, and assumes for the purposes of delimitation that the issue of sovereignty is resolved. This was also the position of the Arbitral Tribunal in the Chagos Marine Protected Area Arbitration (Mauritius v. United Kingdom) case, where Mauritius opposed the establishment by the UK of a marine protected area around the Chagos archipelago, administered by the UK but claimed by Mauritius. In its Award of 18 March 2015, the Tribunal held in substance that Mauritius’ claim that the UK did not qualify as a “coastal state” within the meaning of UNCLOS as regards the Chagos Islands concerned in fact the question of sovereignty over the Chagos, which was not a matter concerning the interpretation or application of UNCLOS, and therefore that it did not have jurisdiction. This separation between sovereignty over Tromelin and the determination of maritime zones generated by the latter appears, even if implicitly, as the path chosen by the negotiators of the 2010 framework agreement between France and Mauritius. 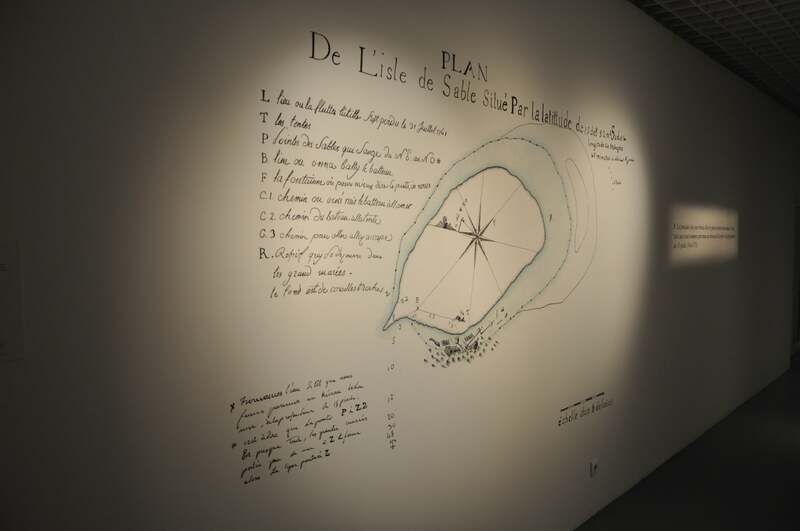 While disagreeing on the issue of sovereignty, the two sides agreed on Tromelin’s entitlement to an EEZ. The French side, while reaffirming its sovereignty over Tromelin – and that it would not give its consent to any third-party dispute settlement mechanism on that issue –, stated that the objective of the agreement is “basically political and aims at overpassing the sovereignty dispute […] through adoption of a partnership approach in three specific sectors: environment, archeology and fisheries” (see Report of the French Senate). It should also be noted that France and Mauritius had also adopted a pragmatic approach in 1980 when they reached agreement on the delimitation of part of their maritime boundary – setting Tromelin aside (see Convention between the Government of the French Republic and the Government of Mauritius on the delimitation of the French and Mauritian economic zones between the islands of Reunion and Mauritius, 2 April 1980, reprinted in US Department of State, Office of the Geographer, Maritime Boundary: France (Reunion)-Mauritius, Limits in the Seas No. 95  with map). The above-mentioned report of the French Senate stressed the common view of France and Mauritius on the need to assert control over maritime zones surrounding Tromelin – pending the resolution of the sovereignty dispute –, as a means to establish other marine protected areas, to implement joint policies regarding sustainable fisheries, or to combat illicit dumping, among other issues. It should also be noted that, given its geographical situation, the determination of the status of Tromelin as regards Article 121 para. 3 of UNCLOS would necessarily impact the localisation of maritime boundaries with certain third States, namely neighbouring islands, especially Madagascar. Clive Schofield recently observed that “the potential maritime claims to be made from the disputed islands of the South China Sea, often illustrated by reference to maps giving these features full-effect in the generation of strict equidistance lines, is misleading” (C. Schofield, ‘What’s at stake in the South China Sea? Geographical and geopolitical considerations’, in R. Beckman, I. Townsend-Gault, C. Schofield, T. Davenport and L. Bernard (eds. ), Beyond Territorial Disputes in the South China Sea: Legal Frameworks for the Joint Development of Hydrocarbon Resources at 24). The author of the present note is of the view that the same observation may be made as regards a number of disputed features of the Indian Ocean – including Tromelin. A new class of machines knows how to recognize and investigate unexpected things that pop up underwater. People have been exploring the Earth since ancient times—traversing deserts, climbing mountains, and trekking through forests. But there is one ecological realm that hasn’t yet been well explored: the oceans. To date, just 5 percent of Earth’s oceans have been seen by human eyes or by human-controlled robots. That’s quickly changing thanks to advancements in robotic technologies. In particular, a new class of self-controlled robots that continually adapt to their surroundings is opening the door to undersea discovery. These autonomous, “curious” machines can efficiently search for specific undersea features such as marine organisms and landscapes, but they are also programmed to keep an eye out for other interesting things that may unexpectedly pop up. Curious robots—which can be virtually any size or shape—use sensors and cameras to guide their movements. The sensors take sonar, depth, temperature, salinity, and other readings, while the cameras constantly send pictures of what they’re seeing in compressed, low-resolution form to human operators. If an image shows something different than the feature a robot was programmed to explore, the operator can give the robot the okay to go over and check out in greater detail. Hannibal Bank Seamount Expedition from Woods Hole Oceanographic Inst. The field of autonomous underwater robots is relatively young, but the curious-robots exploration method has already lead to some pretty interesting discoveries, says Hanumant Singh, an ocean physicist and engineer at Woods Hole Oceanographic Institution in Massachusetts. In 2015, he and a team of researchers went on an expedition to study creatures living on Hannibal Seamount, an undersea mountain chain off Panama’s coast. They sent a curious robot down to the seabed from their “manned submersible”—a modern version of the classic Jacques Cousteau yellow submarine—to take photos and videos and collect living organisms on several dives over the course of 21 days. Join Woods Hole Oceanographic Institution scientists as they set out on a twenty-day ocean expedition to Coiba Island off the coast of Panama. Here you'll get an inside look at the cutting edge research being conducted to understand the fragile Hannibal Seamount. On the expedition’s final dive, the robot detected an anomaly on the seafloor, and sent back several low-resolution photos of what looked like red fuzz in a very low oxygen zone. “The robot’s operators thought what was in the image might be interesting, so they sent it over to the feature to take more photos,” says Singh. The team used submarines to scoop up several live crabs, which were later identified through DNA sequencing as Pleuroncodes planipes, commonly known as pelagic red crabs, a species native to Baja California. Singh says it was extremely unusual to find the crabs so far south of their normal range and in such a high abundance, gathered together like a swarm of insects. Because the crabs serve as an important food source for open-ocean predators in the eastern Pacific, the researchers hypothesize the crabs may be an undetected food source for predators at the Hannibal Seamount, too. When autonomous robot technology first developed 15 years ago, Singh says he and other scientists were building robots and robotics software from scratch. Today a variety of programming interfaces—some of which are open-source—exist, making scientists’ jobs a little easier. Now they just have to build the robot itself, install some software, and fine-tune some algorithms to fit their research goals. While curious robot software systems vary, Girdhar says some of the basics remain the same. All curious robots need to collect data, and they do this with their ability to understand different undersea scenes without supervision. This involves “teaching” robots to detect a given class of oceanic features, such as different types of fish, coral, or sediment. The robots must also be able to detect anomalies in context, following a path that balances their programmed mission with their own curiosity. This detection method is different from traditional undersea robots, which are preprogrammed to follow just one exploration path and look for one feature or a set of features, ignoring anomalies or changing oceanic conditions. 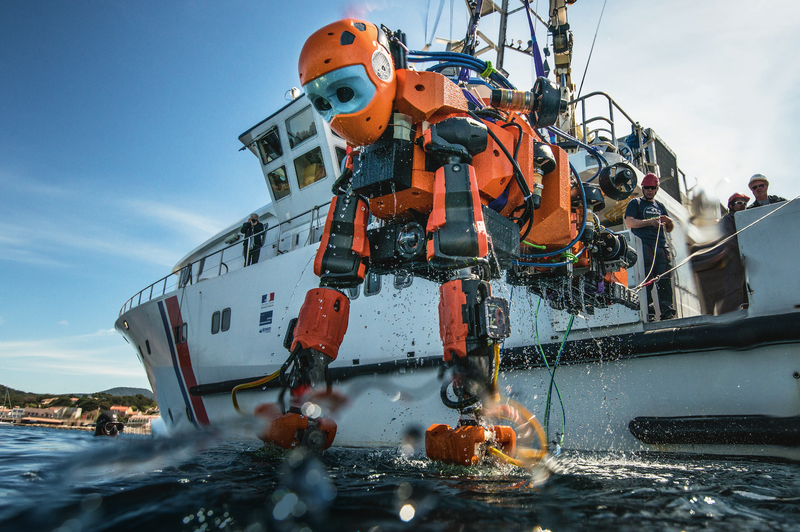 One example of a traditional robot is Jason, a human-controlled “ROV,” or remotely operated vehicle, used by scientists at Woods Hole to study the seafloor. Marine scientists see curious robots as a clear path forward. “To efficiently explore and map our oceans, intelligent robots with abilities to deliberate sensor data and make smart decisions are a necessity,” says Øyvind Ødegård, a marine archaeologist and Ph.D.
candidate at the Centre for Autonomous Marine Operations and Systems at Norwegian University of Science and Technology. Ødegård uses robots to detect and investigate shipwrecks, often in places too dangerous for human divers to explore—like the Arctic. Other undersea scientists in fields like biology and chemistry are starting to use curious robots to do things like monitor oil spills and searching for invasive species. Compared to other undersea robots, Ødegård says, autonomous curious robots are best suited to long-term exploration. For shorter missions in already explored marine environments, it’s possible to preprogram robots to cope with predictable situations, says Ødegård. Yet, “for longer missions, with limited prior knowledge of the environment, such predictions become increasingly harder to make. One big challenge is sending larger amounts of data to human operators in real time. Water inhibits the movement of electromagnetic signals such as GPS, so curious robots can only communicate in small bits of data. Ødegård says to overcome this challenge, scientists are looking for ways to optimize data processing. According to Singh, one next step in curious robot technology is teaching the robots to work in tandem with drones to give scientists pictures of sea ice from both above and below. Another is teaching the robots to deal with different species biases. For example, the robots frighten some fish and attract others—and this could cause data anomalies, making some species appear less or more abundant than they actually are. Ødegård adds that new developments in robotics programs could allow even scientists without a background in robotics the opportunity to reap the benefits of robotics research. “I hope we will see more affordable robots that lower the threshold for playing with them and taking risks,” he says. “That way it will be easier to find new and innovative ways to use them. When it comes to cutting emissions from transport, shipping and aviation are often referred to as the elephant in the room: having been excluded from the Paris agreement and being inadequately addressed under existing UN conventions and EU legislation. Inclusion of road transport under the ETS would delay and reduce the rate of emissions reductions from transport, while endangering the attainment of the EU’s climate and energy security objectives. What is more, inclusion of the transport sector under the ETS would act to weaken the ETS and increase its costs. “The inclusion of road transport into the ETS would also act to undermine the adoption of more effective, climate specific policies targeted at transport, such as emission performance standards and clean fuel standards, which can stimulate investment in zero emission vehicles, and attain transport decarbonisation quicker” comments Bellona adviser Teodora Serafimova. This should also be the case when it comes to tackling shipping emissions. The European Parliament last week put forward a proposal to include the shipping sector in the EU ETS if the IMO fails to deliver a global deal. The shipping sector’s inclusion under the ETS would constitute the EU’s first ever regulation of shipping emissions. Members operating ships over 400GT, trading in designated emission control areas (ECAs), including yachts, may already be aware of the emission limits introduced designed to reduce the sulphur oxide and nitrogen oxide emissions of ocean-going vessels. With effect from 1 January 2015, it is a requirement that all fuel oil used on board must have a sulphur content of no more than 0.10% m/m. The requirements in ECAs, includes the Baltic Sea, North Sea, East and West coasts of the United States and the Caribbean Sea. These regions apply more stringent general requirements from those that apply to other waters. Such a ‘plan B approach’ to tackling shipping emissions, however, is simply insufficient. Bellona strongly advocates separate targets and regulations for reducing the ever growing share of emissions from the maritime sector, which are currently responsible for more than 2% of global greenhouse gas emissions. Projected SO2 and NOx emissions for 2020 from EU land-based sources and from international shipping in European sea areas in the absence of additional control measures (kilotonnes). The European Commission forecasts that EU-related ship CO2 emissions will increase by 86% in 2050 compared to 1990 levels. They represented 13.7% of EU transport emissions in 2013. By 2050, international shipping could be responsible for 17% of global CO2 emissions if left unregulated. This calls for urgent measures to be introduced in the EU and UN to cut shipping emissions if we are to halt global temperature rise below 2°C. In addition to its heavy carbon footprint, shipping is also a major source of local air pollution in Europe. By 2020, it could produce more nitrogen oxides (NOx) than all land-based sources of emissions combined. In harbour cities, ship emissions have become a dominant source of pollution in particular when considering fine particulate matter emissions. With increasing global trade and transport, the emissions from shipping and maritime transport, should no longer be overlooked. Health aspects are important to keep in mind, as air pollution is leading to 524 000 premature death causes in Europe every year, making it the biggest killer on the continent. The pollution can be mitigated by the use of shore-side electricity supply and by progressively electrifying maritime transport starting with local ferries for example. When looking into the possibilities of electrifying maritime transport, Bellona draws lessons from Norway, who has been gradually shifting towards electric ships for tourism-, transport- and commercial shipping purposes. Norway is a good starting point, with surplus of renewable energy (roughly 98% of its electricity coming from clean hydropower) and many years of experience in development of electric vehicles and ships. Norway has proven the technology is here and available, having delivered a fully electric ship and fishing boat, and introduced last year the electric tourist ship “Seasight” in the fjord of Nærøy. 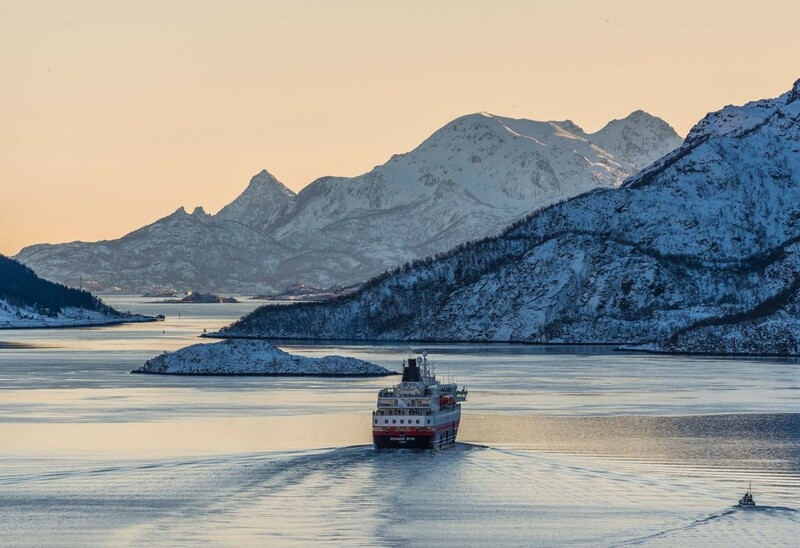 Ships in harbours are currently emitting the same amount of Particulate Matter (PM) and SOx as the entire Norwegian personal transport sector, in addition to 58% of its NOx emissions. Measures are being taken to lower the emissions from Norwegian harbour cities, where large ships emit large quantities of NOx particles. Private companies, too, are progressing towards better solutions, such as Color Line, which is currently developing hybrid ships to lower the air-and noise-pollution when sailing in and out of Norwegian fjords and harbours. 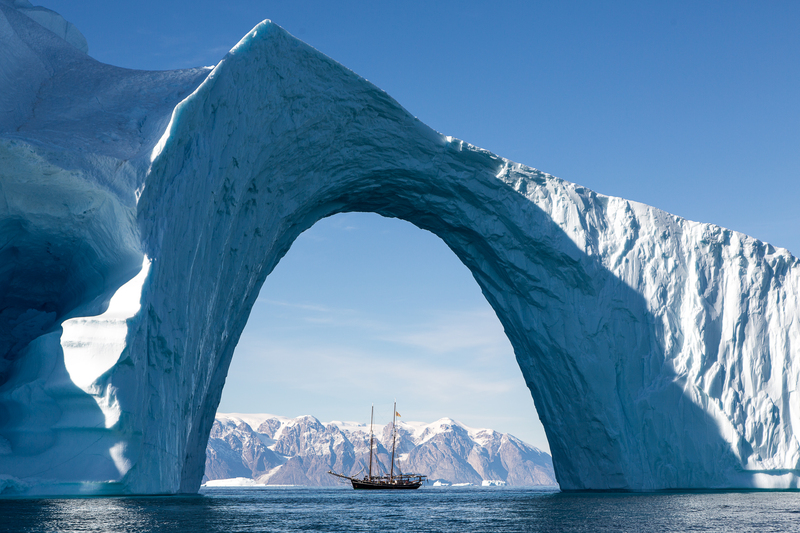 Electric ships are also in use for tourism in fragile Arctic areas, for whale safari near Iceland and Greenland, and the first fully electric ship, Opal, utilises sail power to recharge its batteries. One key solution is to provide electricity to ships in harbours. By doing so in its 28 largest harbours, Norway would eliminate 356 000 tons of CO2 yearly. This number corresponds to emissions from a large industry, such as Statoil’s methanol factory in Tjeldbergodden, or Heidrun-platform in the Norwegian Sea. The technology is here, and to be able to reduce the emissions from the shipping sector, we should look at examples from the electrification of vehicles, by developing policies that favour environmental solutions. Last year, Bellona entered into cooperation with battery company BEBA which is working on more efficient batteries for large transport such as heavy duty vehicles and ships.